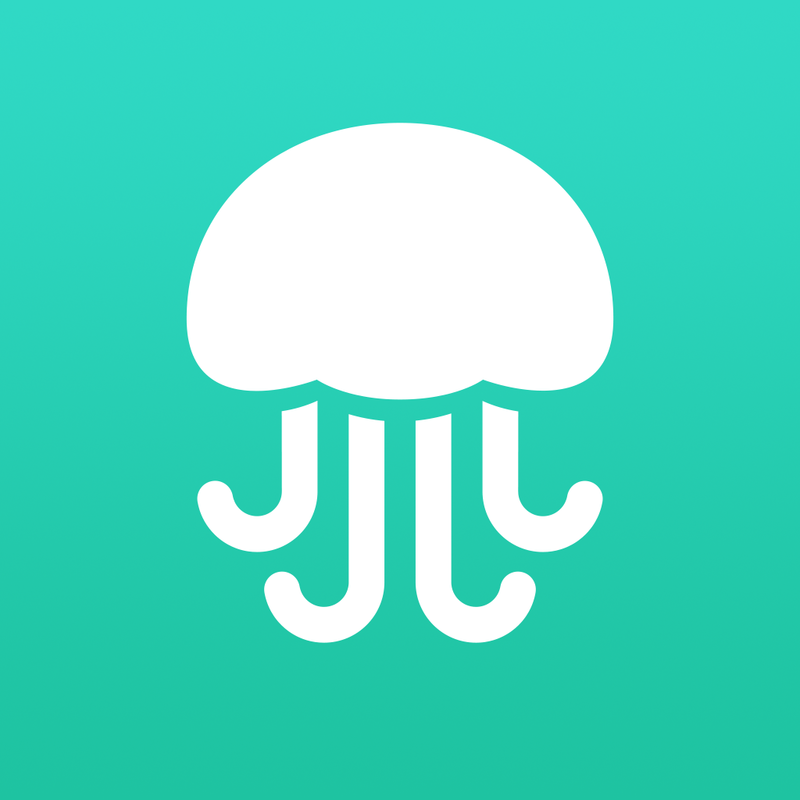 Jelly (Free) by Jelly Industries, Inc. is a new crowdsourcing Q&A app from Twitter cofounder, Biz Stone. 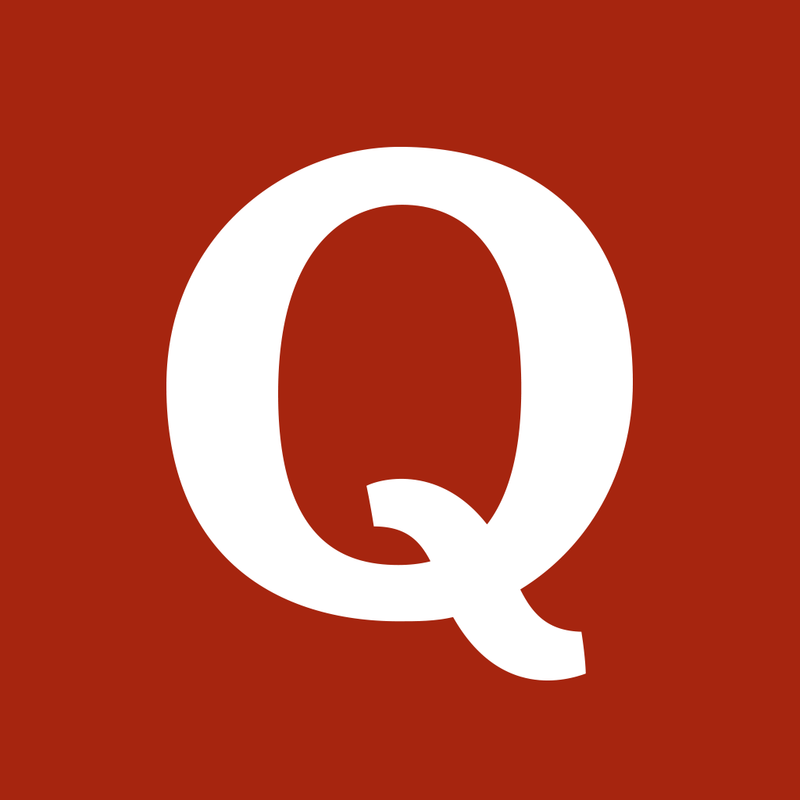 Think of Jelly as a mix between Quora and Twitter, with a much more focused community that will want to help answer your questions. 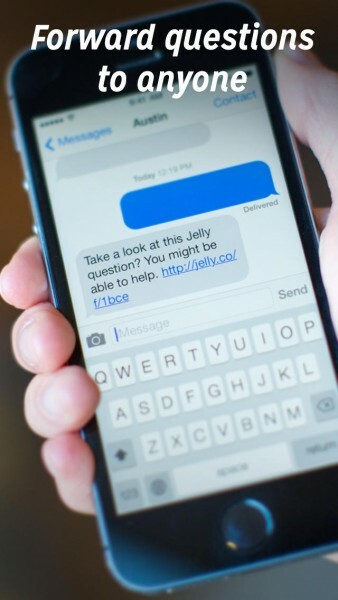 When I first heard of Jelly, I was pretty intrigued. I took a look at the screenshots, and was drawn in with a beautiful and sleek interface. 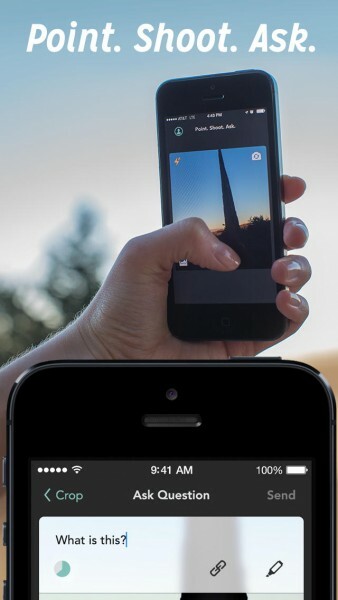 Of course, the app is much more than that. I have often found myself asking questions on Twitter, and most of the time, the question goes unanswered, as it ends up lost in a stream of other nonsense for all of my followers. And I know that it may even get looked over, because the more people you follow, the noisier that timeline gets. So with Jelly, I’m pretty satisfied with the approach of a community where the sole purpose is to ask and answer. As I mentioned, the design of the app is downright beautiful. 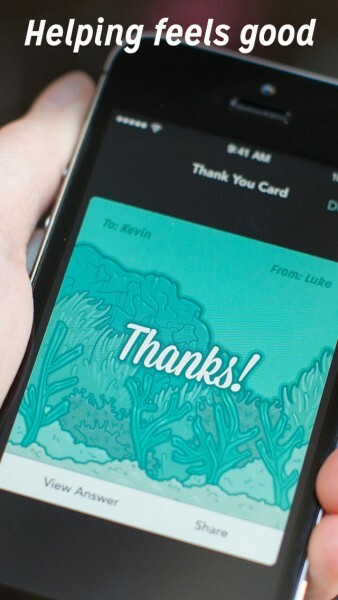 It’s a simple design, using “cards” to represent questions from other users. 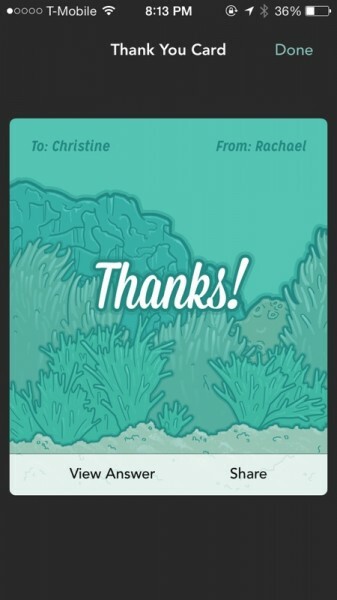 These cards strongly remind me of what you found in Triage, where you are able to flick them away if you don’t have an answer, or tap on a button to answer or forward to a friend. 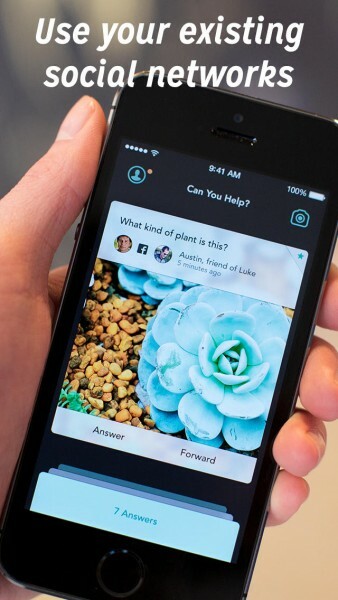 When you ask a question, Jelly has a slick camera screen where you will need to snap a photo to go with your question, since the entire app has a visual emphasis. Overall, the design of Jelly is straightforward and gorgeous, and the focus on one question at a time really helps to get answers from the community. 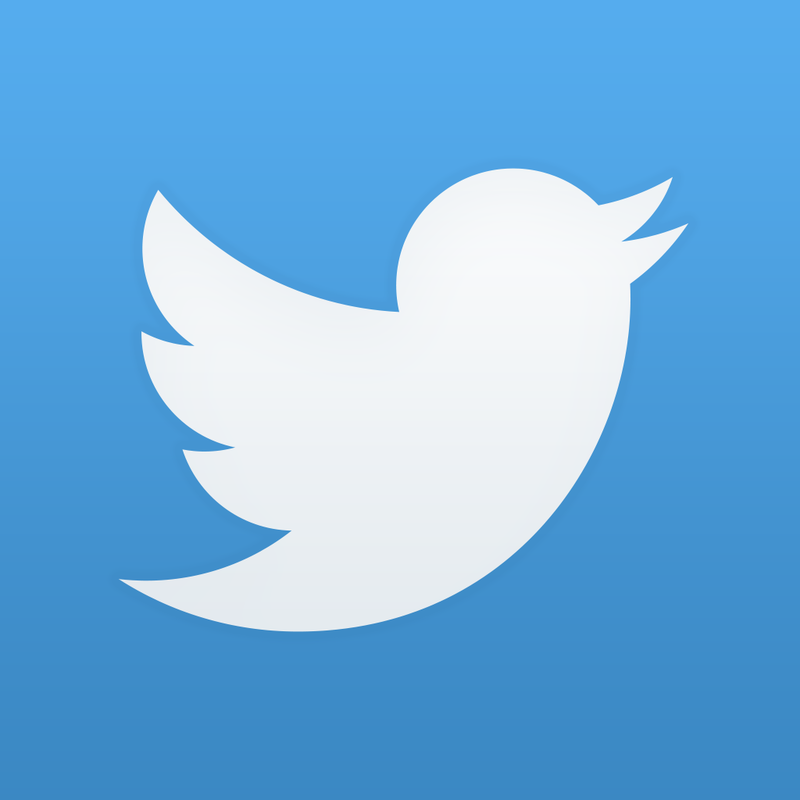 In order to use Jelly, you will need to sign up with either your Twitter or Facebook account, as the app works best with people you may already know or follow. Regardless of which network you choose to sign in with, you can add the other one as well for maximum network reach. 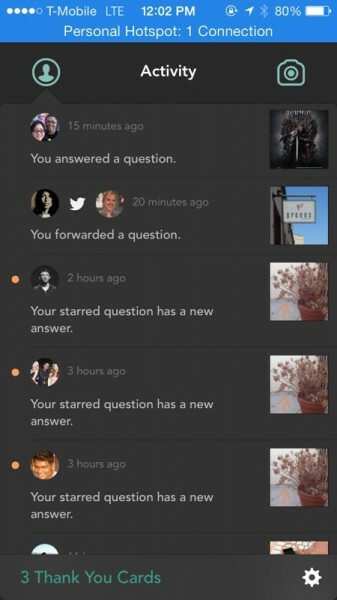 This means that you can see when questions and answers have been posted by people that your friends may know, which should encourage you to answer. In case you’re confused as to why the name “Jelly” was chosen for the app, Stone explains this quite clearly over at TechCrunch. We chose the jellyfish to represent our product because it has a loose network of nerves that act as a ‘brain’ similar to the way we envision loosely distributed networks of people coordinating via Jelly to help each other. 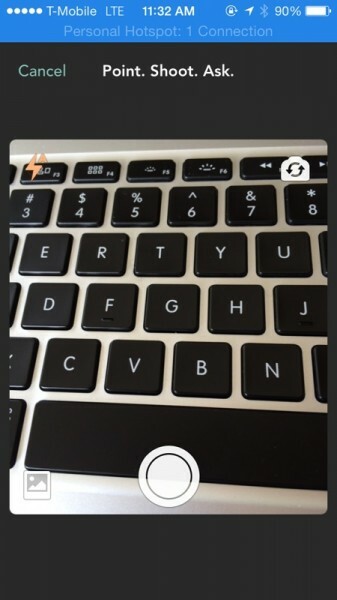 When you get signed in to your account, you will find yourself on the “Ask A Question” view, where you have a camera screen to capture an image. 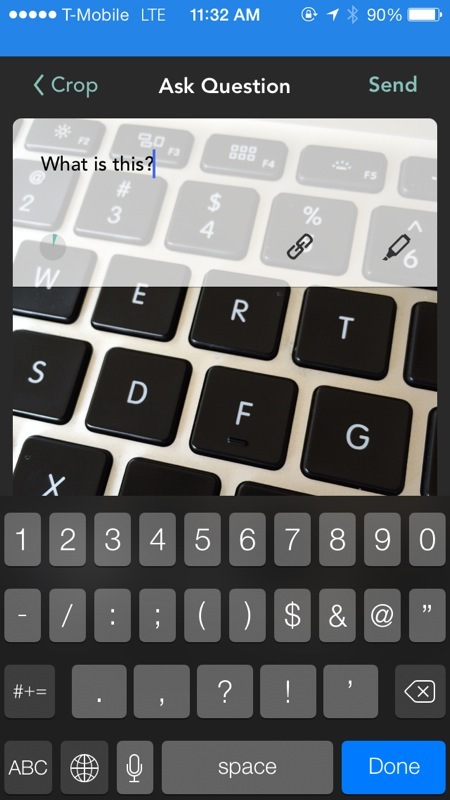 The images will always be cropped in a 1:1 square format, and once it’s captured, a translucent text field will come up over the top half of the image, where you type out the question you want answered. All questions and answers have a maximum character limit, which can be indicated by the circle progress meter in the bottom left corner. You can also tap on the link button to search the Internet for something specific with the in-app browser, and you can tap on the marker to draw or annotate the image for a clearer explanation. 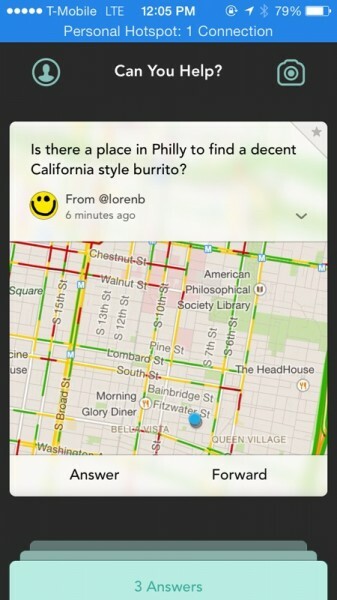 Once you’re sure of the question you want to ask, tap on “Send” for the rest of the Jelly network to see it. 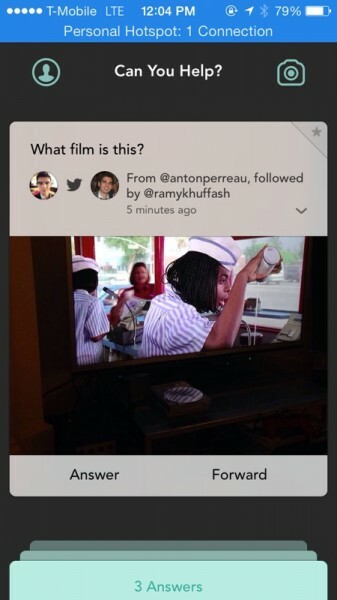 If you don’t have a question to ask, there will be a bar at the bottom of the camera view asking “Can You Help?” The magic with how Jelly presents you with questions is the fact that you only get one at a time. This means that even if you exit the app and come back later, you’ll still be on the same question. This is great because it focuses on one at a time for clear, in-depth answers, and nothing can really be “lost,” unlike your Twitter stream. If you are unable to answer the question you see, just pull the card downwards to get rid of it — you won’t see this question again, so think about it before tossing it away. If you don’t have the answer, but think you know someone who may, you can “Forward” it along to someone by SMS, email, or copying the link yourself. However, if you do know the answer, or can help out in some way, tap on the “Answer” button. 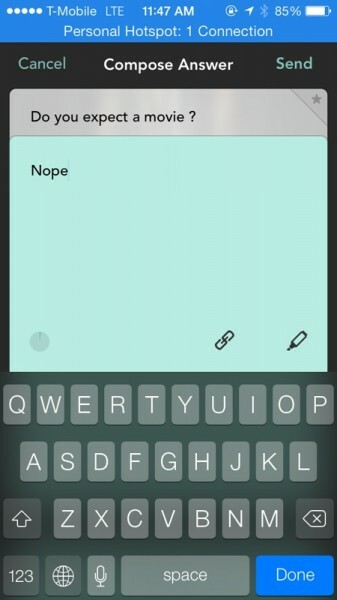 This brings up a text field for you to write in your answer. Keep an eye on the circle to check how close you are to maxing out the character limit, and search for links and annotate the original image if necessary. Once you’re done, submit your answer and it will be visible to the rest of the Jelly population. If you just want to see the answers from others, you can pull the screen upwards from the bottom to view available answers. These will be shown on cards as well, and you can go through them all by scrolling horizontally. Like an answer? Make sure to mark it as “Good,” which is basically like giving kudos to that user. You can also share the answer with someone through message, email, Twitter, Facebook, or just copy the link. While some may not see this as any better than asking Twitter or Facebook, I find it much more useful in getting actual answers. The focus on one question at a time thing really helps get in-depth answers from the users, and you can end up with a lot more than just asking your existing networks due to the reach of the question. I highly recommend giving Jelly a try for yourself, especially since it’s free. At worst, it’s an entertaining and productive way to kill some downtime. You can get it in the App Store for your iPhone for free.